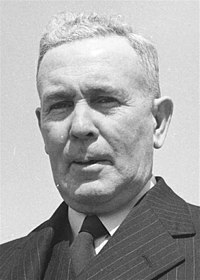 Ba pholaiteoir é Ben Chifley (22 Meán Fómhair 1885 - 13 Meitheamh 1951). B'eisean an séú Príomh-Aire déag ar an Astráil. Tugadh an leathanach seo cothrom le dáta an 10 Márta 2013 ag 05:07.